Usertesting Review: Scam or a Legit Way to Earn $10 per Test? Want to get paid to test websites? Well, a company called User Testing is making this a possibility for anyone with a PC and a microphone. Check out our User Testing Review, and see if you’d like to take on this money making opportunity. Like many people, you’ve probably visited a website and had a less than perfect experience. Whether its pages not loading, a difficult to navigate platform or missing links, some websites just don’t work as they should. A company called User Testing is trying to remedy this issue. UT helps websites and apps to improve their usability, by providing insights and feedback from a panel of testers. And, you can be one of User Testing’s website testers. User Testing makes it easy to earn money testing websites. It’s really simple to work as a website tester at the company. When a test that you’re suited to comes up, you receive a website test invitation in your inbox. Then, you start the test – make sure that you read through all of the instructions properly. When you visit the website you need to test, all of your actions on there, like the links you click on, for example, are recorded using UT’s online screen recorder – this allows companies to see what you’re seeing and the issues that you encounter. Don’t worry – your face isn’t recorded, just what’s on your screen during the test. While you’re browsing around the website, you’ll need to speak your thoughts aloud, into a microphone, as you record the video. So, essentially you provide video and audio recording. Essentially, each test involves a 20-minute recording. Once you’ve done that, you’ll then need to answer four follow-up written questions. Once you’ve completed the test, the company receives your feedback and uses it to improve the usability of their website. Testing websites is really beneficial for companies, as it allows them to enhance their overall customer experience. How much money can you make on User Testing? 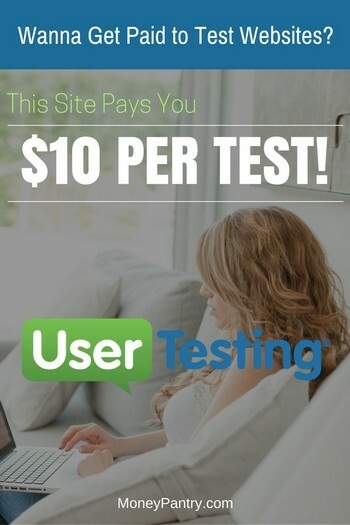 User Testing’s pay is pretty good – you earn $10 per test. As each test only takes around 20 minutes to complete, that’s a fairly generous pay rate. If you could complete three tests within an hour, you’d earn $30 for an hours work. And there is no shortage of testimonials from actual used who do make $30 an hour or more on this site. Here is a post on Reddit from a user who claims he/she earned $60 in 60 minutes on UserTesting. So it is very much possible to make that kind of money. The only problem is you aren’t assigned a set amount of tests per week. You’re sent tests that match your particular demographic. If you don’t fit the criteria for a particular test, then you won’t get an invite to complete it. Essentially tests aren’t guaranteed, so it’s not a steady means of income. But, it’s nice to see the opportunity to make a quick ten bucks when you do get an email. Once you complete a test, you get paid seven days later. You receive payment through PayPal – so you’ll need to have a PayPal account. User Testing is definitely a legitimate company to work for. It’s partnered with some big name brands, like Microsoft, Apple, and Adobe, to provide feedback on websites. The company has also been praised by well-known media outlets, like The Huffington Post and The Wall Street Journal. And if that’s not enough, take a look at Reddit’s BeerMoney subreddit. It’s full of praises and testimonials from Redditors who use UserTesting to earn extra money on the side. As you can see from this review, it is a reputable company that gives you a legitimate way to earn money online. What country do you need to live in? Residents of the U.S. can become website testers with the company. You have to be at least 18 years old to work with the company. A smartphone or tablet if you plan to take mobile tests. To have the ability to download the company’s testing software. To become a website tester at UT, you’ll need to visit this page to start the application process. You’ll be glad to know that the application process is super simple, and it doesn’t take long either. Firstly, you need to complete a short sample test – this is pretty easy to do. 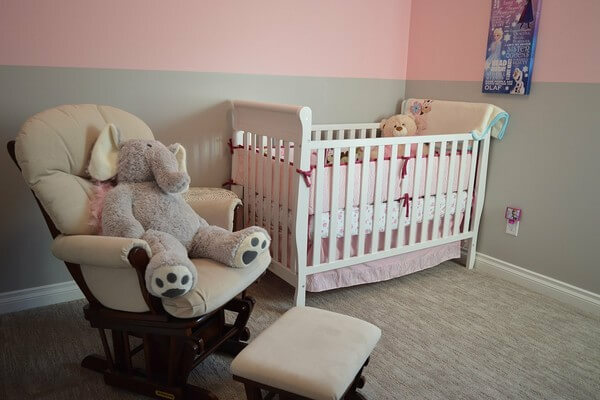 Then, you’ll need to fill out your demographic information – you just have to enter basic information, like the country you reside in, your age and your gender. Once you’re accepted, you’ll be able to start taking tests that you qualify for. User Testing provides a good money making opportunity for anyone who wants to make money online. It provides a simple way for anyone with a microphone, a PC and an internet connection to earn a little extra cash. While it doesn’t provide a guaranteed income, as you are only sent tests that you qualify for, as you can see from this User Testing review, it does provide a great platform for earning extra money.